The State of Colorado follows the doctrine of “employment-at-will”. Roughly speaking, that means that neither the employer nor the employee need provide a reason for ending an employer-employee relationship. On the other hand, there are some reasons that are simply illegal. If an employer fires someone for these reasons, then they have cause to sue their former employer. 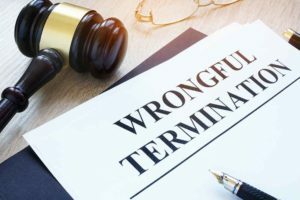 Here, we will discuss wrongful termination and what you can do if you have been wrongfully discharged by your employer. Colorado does not exclude any employers from conforming to anti-discrimination laws, even those that only have one employee. The laws in Colorado are much stricter than those issued by the federal government. The Colorado Civil Rights Division enforces state laws that prohibit discrimination. Let’s say that an employee is working for a company and she is the victim of sexual harassment by a manager or co-worker. She files a complaint with the human resources department stating that is employee or manager is repeatedly asking her out despite the fact that she has stated that she is not interested. Colorado law prohibits the company from retaliating against the employee by firing or demoting her. This law, however, is not restricted by the kind of harassment. If an employee complains about missing a promotion due to gender, age, race, or any other protected characteristics, and then fired by the company, this is also illegal. In addition, if a company fires an employee for reporting a hostile work environment, that too is illegal. If you got fired for illegal reasons, you deserve compensation. Contact the employment lawyers at the Olson Law Firm and we can begin compiling evidence for your case right away.